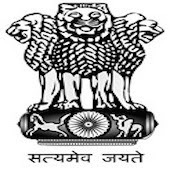 Online Application Details for National Company Law Tribunal NCLT Recruitment of 6 Deputy Registrar and 3 Assistant Registrar is given below. Application form and duly attested documents are to be sent to Shri Anil Kumar, Under Secretary, National Company Law Tribunal, Room No. 614, Block No. 3, C.G.O. Complex, Lodhi Road, New Delhi - 110 O03. In envelope super scribed with 'Application for the Post of Post Name'.